Swiffer Wetjet Hardwood Floor Mopping and Cleaning Solution Refills, 1.25 Liter, 2 Pack — $7.42 or $3.71/each! Calling all you guys with Swiffer Wetjets! 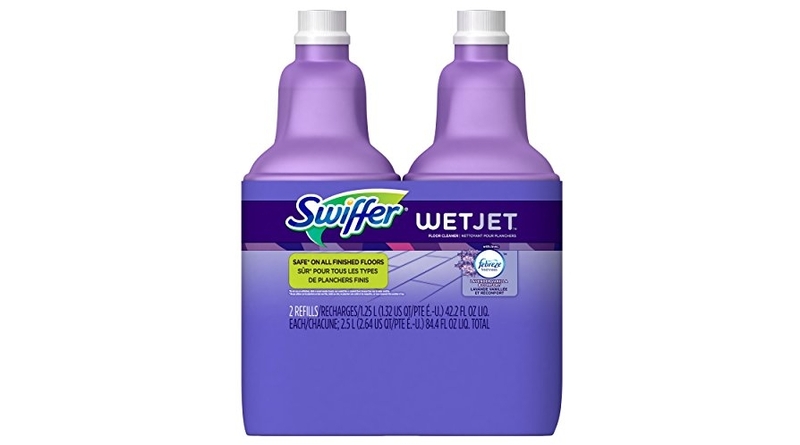 🙂 Amazon is offering up a special price on the Swiffer Wetjet Hardwood Floor Mopping and Cleaning Solution Refills, All Purpose Cleaning Product, Lavender Vanilla and Comfort Scent, 1.25 Liter, 2 Pack which is currently $9.42 (reg. $9.38) but clip the $2.00 off coupon and the price at checkout drops to just $7.42 or $3.71/bottle shipped!